On January 1, 2012, the Michigan Fireworks Safety Act went into effect.1 It marked a significant change in how the state of Michigan treats the sale and use of “consumer fireworks.”2 Effectively, the new statute authorizes the sale and use of Roman Candles, bottle rockets, aerials, and other fireworks3 that had previously been banned.4 Almost immediately, challenges and complaints were raised. On one side, eight fireworks vendors challenged the constitutionality of one of the law’s provisions that required such vendors to purchase insurance at an arguably unreasonable rate.5 The court dismissed that case, holding that it could not be said that the Act’s insurance requirement lacked a rational basis.6 On the other side were local municipalities that opposed the new law and immediately sought to limit its impact in their jurisdictions. For example, Warren, Michigan passed an ordinance that would prohibit the use of fireworks within 30 feet of a residential building.7 Though provisions of the law might need adjustment once their impact is seen, this is not something that should be done prematurely. This Comment advocates a careful, calculative approach to potential reforms of Michigan’s nascent fireworks law. Instead of changing the law, the legislature should hold off on any revisions until the law’s full impact can be seen. There are a number of reasons why legislative reform mandating the use of in-car cameras in police cruisers would benefit the criminal justice system in Illinois. In-car cameras provide evidence for cases involving traffic violations or intoxicated motorists.1 They produce instantly available training materials.2 They also assist victims of police misconduct,3 as well as officers defending themselves against misconduct claims.4 This Comment looks to add to this list of benefits the role in-car cameras can play in assessing the validity of consents to search that officers obtain during traffic stops. The requirement that only men register with the Selective Service System1 is in need of reform for many reasons. One reason that has largely been unexplored is the public’s disconnect with the military and the recent wars in Iraq and Afghanistan. Women are actively engaged in those wars in our all-volunteer force, but women are not required to register with the Selective Service. Failure to register can have tremendous legal consequences for men, such as ineligibility for student loans with an answer of “no” to question #22 on the Free Application for Federal Student Aid (FAFSA).2 There are many consequences of such a system—such as a disparity in treatment between similarly situated men and women—but another social consequence is the lack of a broad-based public interest when our nation goes to war. Gas and coal are cheap. They are cheap because the U.S. government subsidizes their production.1 The result is that the marketplace does not recognize the true cost of fossil fuels. Without the subsidies, Americans—for the first time in nearly a hundred years—would experience the cost of unsubsidized fossil fuels.2 In a newly competitive marketplace, renewable sources of energy would be in a better position to compete. Without gas and coal subsidies, clean energy producers, who have not been able to compete with the low price of fossil fuels, might be more willing to invest in “clean, renewable, and more energy efficient technologies.”3 This Comment first provides a brief history of U.S. energy policy over the last 100 years. Next, this Comment discusses how past free market reforms have failed to change the energy marketplace. Third, this Comment proposes that two provisions of the U.S. tax code that give preferential treatment to oil and gas producers be eliminated. The last decade has seen a quiet but steady expansion of interest in using socioeconomic diversity in schools to improve educational outcomes. Ten years ago, only a few school districts around the country used formal strategies to integrate their schools along class lines.1 Today, over eighty school districts around the United States, together educating around four million students, ensure that poor children are taught alongside middle-class and wealthier children through a variety of voluntary integration programs.2 The message ofThe Future of School Integration: Socioeconomic Diversity as an Education Reform Strategy, the important new book edited by Richard Kahlenberg, is simple: these strategies are more educationally effective than other reform strategies; they are more cost effective; and recognizing these facts has important implications for a number of pressing law-reform choices at the federal, state, and local levels. Online voter registration is already permitted by eleven states,4 including the liberal, infrastructure-rich, population-heavy California and the conservative, sparsely populated Alaska.5 Extending the registration system to voting itself could save taxpayers significant amounts of money,6 encourage young people to get involved in politics early on, and provide millions of Americans with a more convenient way to vote. In March 2012, social network privacy became a conversation topic after news reports of the story of Justin Bassett, a job applicant who withdrew his application in the middle of an interview when the interviewer asked him for the username and password of his private Facebook account.1 Although the issue has received much attention from the public and media, the Department of Justice (DOJ) has stated that it has no interest in prosecuting employers for asking for social networking account information.2 Fortunately, legislation that would make it illegal for employers to ask for the username and passwords for social networking sites as a condition of hiring a candidate is currently being considered at the state and federal levels.3 While this is a necessary reform, legislatures should go one step further and truly protect private social networking by preventing employers from accessing these accounts through other methods. The Supreme Court has defined Medicaid as “a cooperative federal-state program through which the Federal Government provides financial assistance to States so that they may furnish medical care to needy individuals.”1 In June 2012, the Court found the Patient Protection and Affordable Care Act’s (PPACA) Medicaid expansion unconstitutional.2 The Court took issue with the threat to withhold all of a state’s Medicaid funding if they did not comply with the expansion, finding it coercive and a fundamental shift in the Medicaid paradigm.3 However, Medicaid in its current form may not always be effective at providing beneficiaries with timely access to the care to which they are entitled.4 For Medicaid to function as intended, Congress must amend the definition of “medical assistance” in the Medicaid Act and give Medicaid beneficiaries and providers an enforceable federal right to sue the states when they do not set provider reimbursement rates at levels that are adequate to attract sufficient Medicaid providers to provide enumerated services for enrollees. Under Pennsylvania law, counties, cities, boroughs, first-class townships, municipalities, and school districts can levy an occupation tax.1 An occupation tax taxes an individual based on the individual’s occupation, which, historically, was considered to be a form of transferable property.2 Not only is the occupation tax based on an outdated model of employment practices, but it is also a source of abuse and inequity.3Consequently, the occupation tax should be abolished in favor of other more just taxation models. The federal Truth in Lending Act1 (TILA) provides borrowers with protections and remedies against certain actions by lenders. TILA allows, in some circumstances, a borrower to rescind a loan from a lender within a three-year period from when the loan is made. However, a circuit split has developed regarding how the right to rescind must be exercised. Of the circuits that have considered this question, some require a lawsuit to be filed within the three-year period to rescind the loan.2 Other circuits have held that providing notice of the intent to rescind the loan within the three-year period is sufficient to rescind the loan, even if a lawsuit is not filed until beyond the three-year time limit.3 This Comment argues that in order to rescind the loan, courts should require that an actual lawsuit be filed before the three-year period expires. 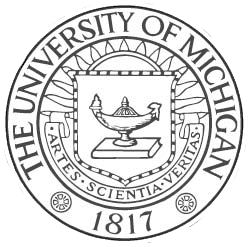 For feedback and questions please email us at mjlr@umich.edu.